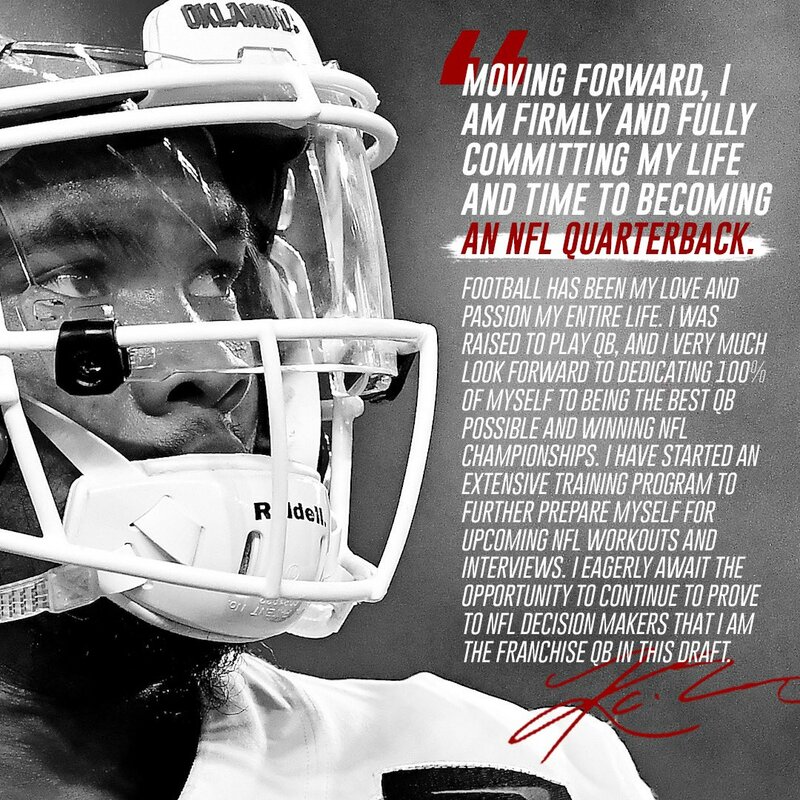 The time for simply dipping his toe into football’s water is over for Kyler Murray as the former Oklahoma quarterback announced on Monday that he’s all in on pursuing a career in the National Football League. If you haven’t been following his story closely, Murray was a first-round selection of the Oakland A’s in the latest Major League Baseball draft. The A’s allowed Murray to continue his football career at Oklahoma for one final season in 2018, which turned out to result in a Heisman Trophy and a Playoff berth for the Sooners. Oklahoma lost to Alabama 45-34 in the Orange Bowl National Semifinal, but Murray came out looking well in the defeat to the No. 1 Crimson Tide. 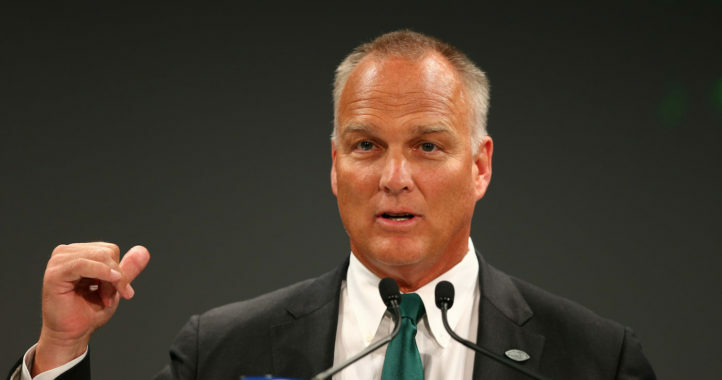 Following that game, Murray announced he would leave school early and declare for the 2019 NFL Draft but that kept his baseball options alive, as well. Now, however, Murray has apparently decided to turn down a career in baseball as the pre-draft activities leading up to the 2019 NFL Draft are beginning to heat up. Murray will now have to give back the A’s the bonus money he accepted from the franchise, which is reportedly around $5 million. 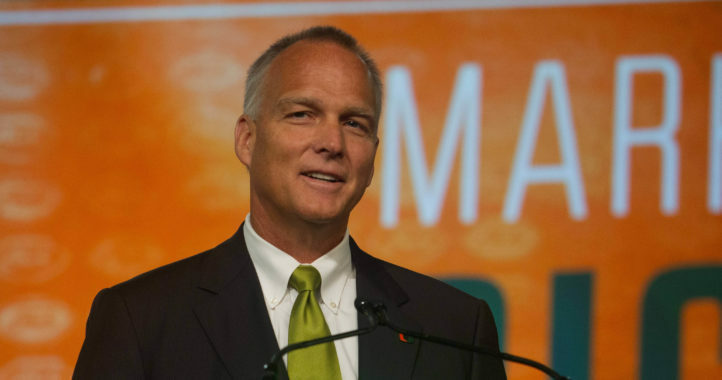 It’s unclear where Murray projects to be taken in the 2019 NFL Draft, but many believe he will be selected in the first round of the draft. Wow he must really, really be confident in his decision. Yeah, good luck with that, shorty. Pretty fancy crystal ball you have there. Are you saying he’ll become a legitimate NFL franchise QB? Because, good luck with that, shorty. Very few have the luxury of being able to make this decision. However, it’s kinda cool to be able to walk up a flight of stairs after you’re 45 years old and remember why you went upstairs. Lol, same here. Plus, I don’t remember even walking into the kitchen. But here I am. Might as well eat something while I’m here, though. I hope it works out for him, and that he saved all the 5 million he received. Not that my opinion matters, but I think he’s making a mistake. Should’ve chose baseball. Better for his health and money making ability long term. and how many successful 5’9″ 180# QB’s have we seen in the NFL since the turn of the century? He has one great year after playing 3 (4 if you count transfer year) and he thinks the NFL is for him. It is not a given that he would make the big leagues but I would think his best bet for long term success is baseball.